A frequent feature of EVE gatherings are roundtables with the CCP Developers. Roundtables are question and answer sessions about specific topics where the players have direct interaction with the developers. Almost always, the rooms are packed to capacity and sometimes new information is revealed. It’s a universal truth that at least one person will go on an extended diatribe about an arcane issue where the Devs are forced to act like they are paying attention and the rest of the audience is rolling their eyes. On Friday at Fanfest 2016, I recorded two sessions, the Capitals Roundtable and the Null & Sovereignty Roundtable. The quality is good, but some of the quiet audience members can be hard to hear and there is occasional crosstalk from uncouth nerds. They are done tuning capitals for now and are eager to see what happens. In the Capitals Roundtable, there was little new information revealed, but it is clear that the Devs are planning to let the new systems run for a bit and see what gets abused and what is underutilized and then tweak as needed. They are done tuning capitals for now and are eager to see what happens. With the just announced Summer changes to Warfare Links and how boosts work, I asked a little about the role of Force Aux in boosting in these circumstances. For this, they are still debating the details, such as whether running links should flag a weapons timer or not. A Jump Fatigue rebalance was mentioned in the Keynote Address, but very little detail on this was discussed, other than they wanted players to feel less frustrated with the mechanic and not need to rely on “calculators” to use capital ships. In the Null & Sovereignty Roundtable, the was a bit of discussion about entosis mechanics, but it seemed clear that the Devs felt it was in the right place currently, even holding an impromptu poll in the room about triage entosising. 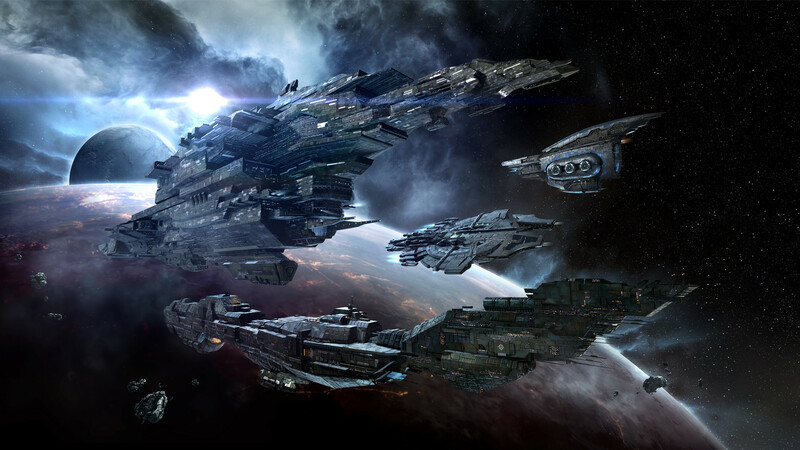 CCP Fozzie strongly shot down the argument that “There’s no reason to be in Null/hold Sov.” Some discussion of how the Citadels release will change Null tactics and strategy, but again, the Dev Team is waiting to see how players abuse/utilize the new structures before tweaking as needed. Various questions made it clear that on the to-do list is a rework of moon goo overall. Considering the Fall/Winter release of Industrial Arrays, look for a change to this old system to better include more players and create more ability to be self-sufficient in null sec. No huge announcements as there is a planned “wait and see” period coming with the Citadels Expansion where the impact of the capitals rebalance and citadels have to play out on Tranquility for a bit before seeing what loopholes players are driving trucks though.